Joe joined the firm in 2006. His practice focuses on air quality regulation, including the continuing development of greenhouse gas regulation and a breadth of regulatory requirements affecting a wide range of industrial sectors, including agriculture, electric generation, waste, manufacturing, and mining. Represents clients in matters relating to air quality regulation and permitting. Represents clients in matters relating to biofuel and renewable energy regulation and permitting. Represents clients in matters relating to the regulation of electric generation by the Federal Energy Regulatory Commission and Florida Public Service Commission. Represents clients in coastal construction regulation and permitting issues. Represents clients on a variety of matters affecting local governments, including public finance, procurement, open government and ethics, construction, and special assessment enforcement and collection. Represents clients in state and federal court, before the Florida Division of Administrative Hearings, and before state and federal agencies. Air Quality Newsletter – Region 4 Reporter, American Bar Association, Section of Environment, Energy, and Resources (2017). Conference Co-Chair, Florida Section Air & Waste Management Association, 53rd Annual Conference, Tallahassee, Florida (October 2017). Florida’s Renewable Energy Projects, Florida Chamber Foundation 31st Annual Environmental Permitting Summer School (July 2017) (co-presenter). Technical Committee Co-Chair, Florida Section Air & Waste Management Association, 52nd Annual Conference, Tampa, Florida (October 2016). Florida’s Renewable Energy Projects, Florida Chamber Foundation 30th Annual Environmental Permitting Summer School (July 2016) (co-presenter). 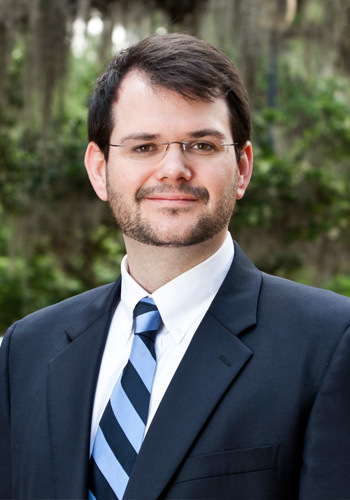 Conference Co-Chair, Florida Section Air & Waste Management Association, 51st Annual Conference, Tallahassee, Florida (October 2015). EPA’s Startup, Shutdown, and Malfunction SIP Call, Air & Water Permitting Workshop, Tampa, Florida (September 2015). Climate Change and the Clean Air Act: Reluctant Dance Partners?, Environmental and Land Use Law Reporter of the Florida Bar, Vol. XXXVI, No. 1 (September 2014). Air Law Hot Topics: Fine Particulate Emission Limits, NSR Enforcement and More, Florida Bar Environmental and Land Use Section Webcast (June 2014) (Co-presenter). Permitting Sources of Air Toxics, Florida Treatise on Environmental and Land Use Law (June 2014) (Updating Author). Clean Air Act Compliance and Enforcement, Florida Treatise on Environmental and Land Use Law (June 2014) (Updating Author). Acid Rain Program, Florida Treatise on Environmental and Land Use Law (June 2014) (Updating Author). Air Quality Regulation Update, Air & Waste Management Association, Coastal Plains Chapter (February 2014). Air Quality Hot Topics, 27th Annual Environmental Permitting Summer School (July 2013) (co-presenter). Update on Florida’s Renewable Energy Projects, 27th Annual Environmental Permitting Summer School (July 2013) (co-presenter). The Cross-State Air Pollution Rule: Will EPA Learn from Experience? ABA Trends, January/February 2013 (co-author with Mohammad Jazil). Florida’s Renewable Energy Projects: Update on Financing, Environmental Licensing, and Construction, 26th Annual Environmental Permitting Summer School (July 2012) (co-presenter). Commercially Harvesting Endangered Salmon? Rethinking the Interaction of Salmon Hatcheries and the Endangered Species Act After Alsea Valley Alliance v. Evans, 40 Georgia Law Review 253 (2005).